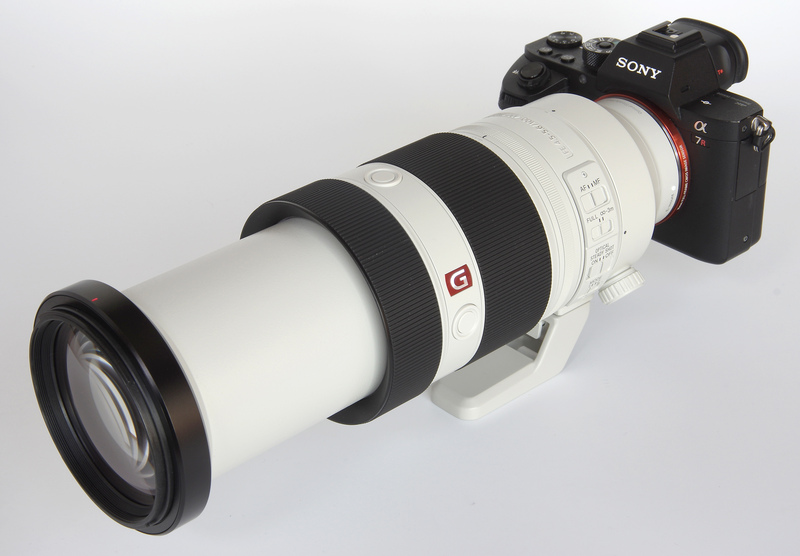 John Riley reviews the new Sony FE 100-400mm f/4.5-5.6 G Master OSS telephoto zoom lens for E Mount Sony cameras. Sony's new FE 100-400mm f/4.5-5.6 GM OSS lens finally fills a major gap in the full frame line up for their mirrorless cameras. If used on an E mount APS-C format body, then the “35mm format equivalent” becomes 150-600mm. In either case, this is an essential lens to make the range complete and useful for wildlife and sports photographers, so with this in mind let's see how the results match up. At 1395g (without the tripod foot) this is a fairly heavy lens, although when mounted on the Sony Alpha A7R II body used for this review it balances perfectly well and does not seem unduly cumbersome. A large round lens hood bayonets into place. It fits smoothly and securely, especially as a locking catch is provided to prevent unwanted rotation or loosening. There is a small sliding door that enables, for example, a polarising filter to be rotated with the hood in position. The filter thread is a reasonable 77mm. Lying beyond this is the nicely ribbed rubberised manual focusing ring. This operates by wire and is very precise in its operation. Damping is spot on, giving just the right amount of resistance. Just behind this are three equally spaced buttons, enabling one of them to be in the most convenient place regardless of the orientation of the lens. They are for focus lock, and a menu option in the camera enables them to be programmed for a variety of alternative functions. The wide zoom ring changes the length of the lens as we zoom in and, just closer to the camera body, a new feature enables the tension of the zoom action to be customised. The option runs seamlessly from smooth to tight, so all requirements can be individually catered for. Finally, closest to the mount, are the four lens control switches. The first is an AF/MF selector. The second is a range limiter for the AF, giving a choice of the full focusing range or limiting it from infinity to 3m. The third switches OSS (Optical Steady Shot) on or off. The fourth is the OSS mode, either standard 5-axis shake reduction (if supported by the camera body) or a mode for the purposes of panning shots. The tripod mount foot is on a ring that can be rotated, so the lens orientation can be changed without having to adjust the tripod head. The foot itself is removable and has a safety catch to make sure it does not detach unexpectedly. The body of the lens is dust and moisture resistant, increasingly a must for shooting outdoor events. AF is via a floating focus mechanism and a Double Linear + DDSSM drive that certainly delivers fast and accurate focusing. Focus is down to a very useful 0.98m (3.22 feet), a maximum magnification of 0.35x. The optical system has Nano AR coating to reduce flare and ghosting, a nine-bladed circular aperture and comprises 22 elements in 16 groups. There are 1 Super ED (Extra Low Dispersion) and 2 ED elements. The lens is compatible with the SEL14TX (1.4x) and SEL20TC (2x) rear converters. In use, the lens proves to be superbly well balanced, more than offsetting any weight. The ideal body for sport and wildlife to accompany it would probably be the Sony Alpha A9 with its 20fps capability. The A7R II provided for the review was obviously not as fast, but for review purposes, the higher resolution does show how the lens behaves optically very well. 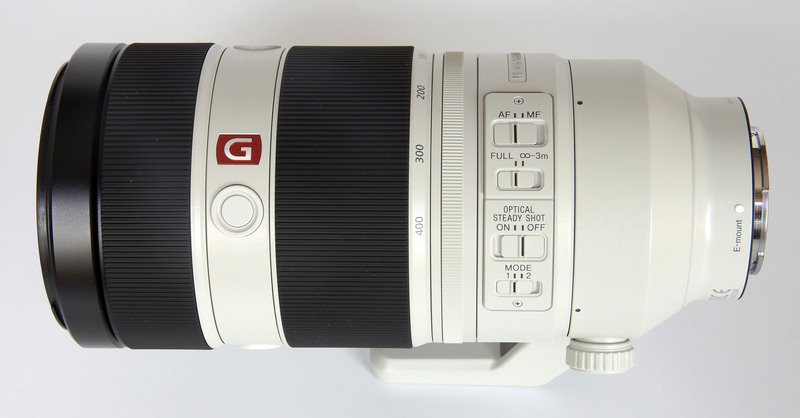 It is a fact of optical laws of course that any 100-400mm lens for full frame will be of a certain minimum size and this one is no exception. It is however as compact and light as can be achieved, aided by a modular construction using magnesium alloys. In the end, the quality counts, so let's see how it performs. The Sony website claims that this lens has “stunning” sharpness, and I have to concur. At 100mm, central sharpness is outstanding from f/4.5 to f/16, very good at f/22 and only becoming soft from diffraction at f/32. The edges are outstanding from f/4.5 to f/11, excellent at f/16, very good at f/22 and again soft by f/32. At 200mm, sharpness is again outstanding from f/5.6 to f/16, very good f/22 and good at f/32. The edges are excellent from f/5.6 to f/16, very good at f/22 and soft at f/32. 300mm sees outstanding central sharpness from f/5.6 to f/16, very good levels at f/22, becoming good by f/32. The edges are excellent from f/5.6 to f/16, bordering into the outstanding category at f/8 and f/11. Results are excellent at f/16, very good at f/22 and soft from f/32. At 400mm quality is very satisfyingly maintained, which is not always the case with long zooms. Sharpness is centrally outstanding from f/5.6 to f/16, very good at f/22 and soft from f/32. The edges are very good at f/5.6 and f/8, excellent at f/11 and f/16, very good at f/22 and softening by f/32. CA (Chromatic Aberration) is controlled very well centrally, with some impressively low figures, especially at 100mm and 400mm. The edges do show some fringing, but also very well controlled, remarkably well for a long zoom lens of this type. For most photography, it won't be a problem, but software correction is always available if needed. Distortion is also very low for a lens of this specification. We have pincushion distortion throughout, but at quite modest levels. It measures +0.34% at 100mm, +1.43% at 200mm, +1.47% at 300mm and +1.51% at 400mm. This is unlikely to be in need of further correction, but it can be done using software if desired. It is possible to induce some flare in the most extreme conditions, but the worst that happens is a slight loss of contrast. Flare control is excellent, even without the hood in place. Using the hood is of course still a good idea, protecting not only against flare but also against the occasional knock. A long telephoto and a rounded diaphragm helps to ensure smooth, well-gradated bokeh. That quality of the out of focus areas is there and is very smooth. Despite the high resolution, there is no roughness and results are extremely pleasing. There have been some amazing results with this lens and the OSS system also provides some surprises. Amazingly, it gives somewhere around 5 stops of advantage, so with the lens set at 400mm, it is possible to shoot reliably sharp images down to 1/8 second. Although the use of a tripod is better for many still subjects, the OSS enables handheld shooting in very dull light indeed. This does not help at all with moving subjects of course, but it can be invaluable for some other subjects. 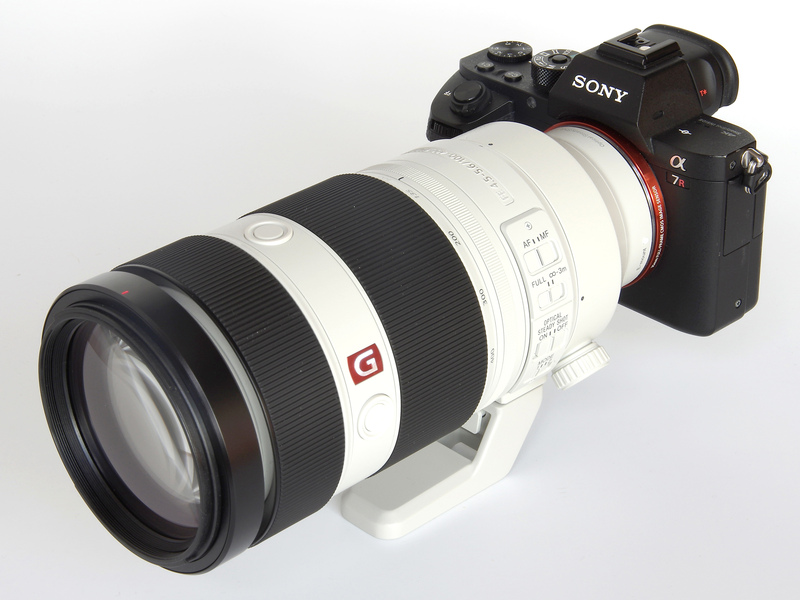 The Sony FE 100-400mm f/4.5-5.6 G Master lens costs £2499. Although undeniably a large amount of money, in relation to its quality perhaps it can be justified. To put this in perspective, we can see what other lenses are available for other marques and judge the relative levels. All these choices are for DSLRs only, which of course in one sense makes the new Sony lens unique and the only choice for E mount users. 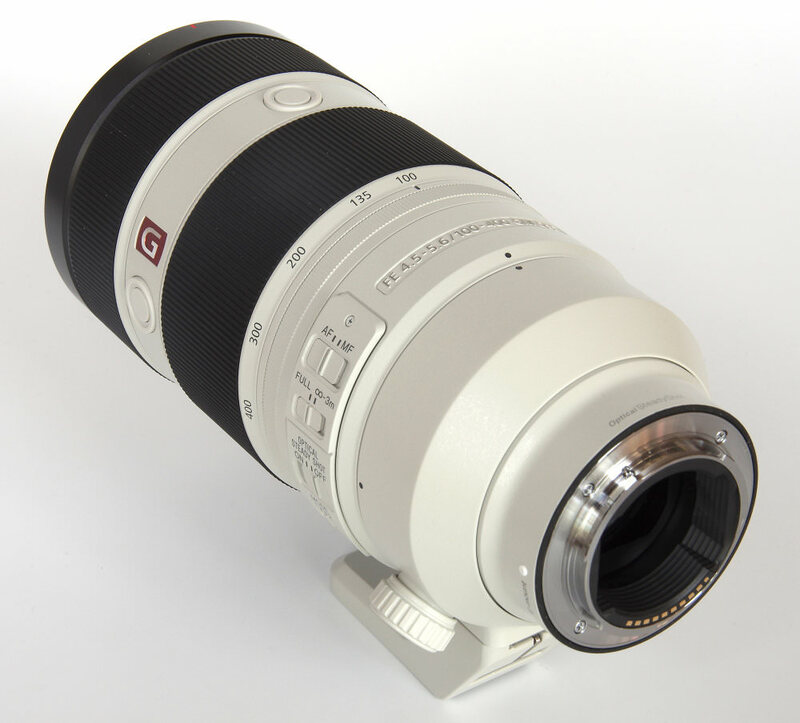 However, Canon users have the EF 100-400mm f/4.5-5.6 L IS II USM at £1799. Nikon offers the AF-S Nikkor 200-500mm f/5.6E ED VR (£1179), the AF-S 200-400mm f/4 G ED VR II (£6109) and the AF-S Nikkor 80-400mm f/4.5-5.6G ED VR (£1799). Sony A mount users have the 70-400mm f/4-5.6 G SSM II at £1999. Finally, Pentax users have the HD Pentax-D FA 150-450mm f/4-5.6 ED DC AW priced at £1949. Clearly, the new Sony is more expensive, but it is also unique in what it can do for E mount users. 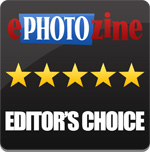 For more options have a look at the Top 15 Best Sony E / FE Mount Lenses or the Top 25 Best Telephoto Zoom lenses. There has been a gap in the Sony mirrorless range and the new Sony FE 100-400mm f/4.5-5.6 G Master lens fills it perfectly. There is no alternative, although we can pitch its price up against what other marques offer and see that it is somewhat higher in cost than most offerings. However, it is also a superb lens in every way and, especially coupled with the new A9 body, more than capable of doing some amazing things for wildlife and sports photographers. Reviewed with the A7R II it is still quite clear what the potential of the new lens might be. Quality clinches it as an Editor's Choice. An outstanding lens that fills an important niche in the Sony E mount range.